Environmental Appeals Board (EAB) and in state proceedings. resulted in major revisions to the PSD/NSR program in December 2002.
business interests in connection with concerns about global climate change. effect of climate change concerns and legislation on their businesses. and the National Law Journal. infrastructure projects all over the world. disputes over the allocation of environmental liabilities in past transactions. With over 25 years of experience in transactions both large and small, Mr.
Safety Data Sheets (MSDSs), and risk communication to employees. 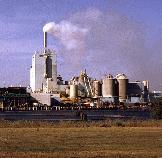 integrated pulp and paper mills. public offerings, press releases, and employee newsletters. administrative law and civil procedure that arise in many types of cases. and criminal prosecutions and settlements. Conventional Technology requirements of the Clean Water Act, and others. rulemaking (or failure to act). involving over 100 grand jury witnesses. redevelopment of industrial property, and so forth. party in cases concerning ephemeral playa lakes in Arizona and New Mexico. water and wastewater in legal and technical journals. has particular familiarity, click here.